Your favourite suburban couple, the Hammond's are hungry for more. 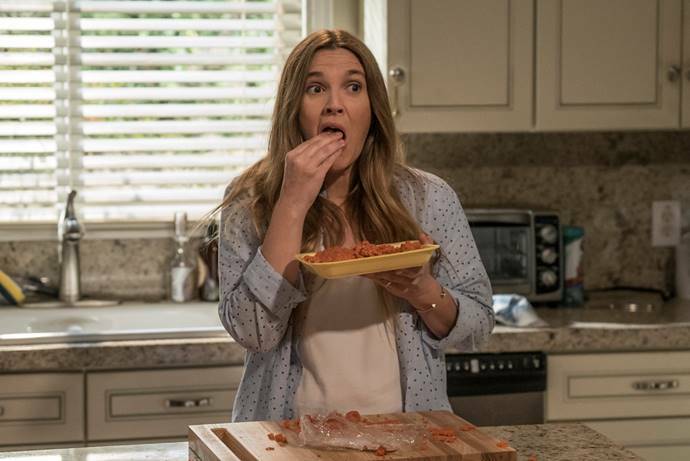 Netflix has announced a second season of the original series Santa Clarita Diet, starring Drew Barrymore and Timothy Olyphant. Production on the second season will begin this summer. In Santa Clarita Diet, Joel (Timothy Olyphant, Justified) and Sheila (Drew Barrymore, Blended) are husband and wife realtors leading vaguely discontented lives in the L.A. suburb of Santa Clarita with their teenaged daughter Abby (Liv Hewson), until Sheila goes through a dramatic change sending their lives down a road of death and destruction...but in a good way.Santa Clarita Diet stars Drew Barrymore as Sheila Hammond, Timothy Olyphant as Joel Hammond, Liv Hewson as Abby Hammond and Skylar Gisondo as Eric Bemis. The series comes from showrunner Victor Fresco.